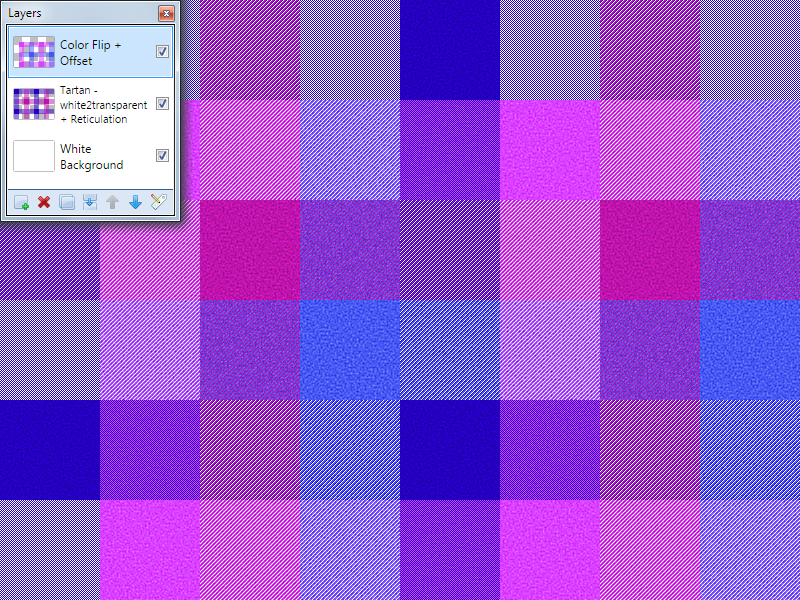 Provides a UI to build custom tartan/plaid patterns. The left side of the UI is the builder section. The right side of the UI is what gets rendered to the canvas. The Horizontal Set & the Vertical Set get repeated. Images have been cropped to give more desirable edges. Thanks goes to @TechnoRobbo for his Color Wheel code, on which the Color Control in this plugin is based. Save & Load icons based on icons from from Fugue Icons. Form all them Scottish folks out there. 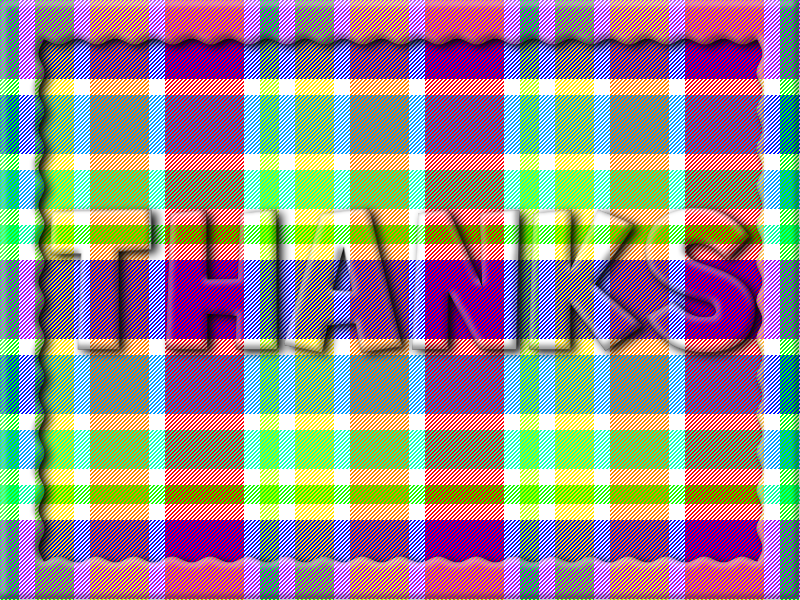 So nice I would give it a nickname "Plaids Galore"
This is a great plugin, toe_head2001. I have some Scottish ancestry. 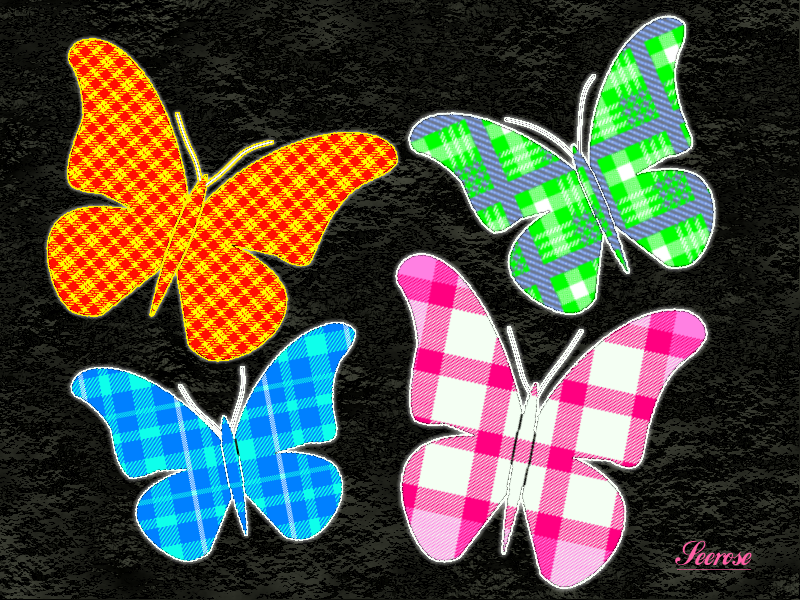 Reproducing my clan tartan would be cool - except that I'd have to re-enter it each time. How about an option to load & save patterns? This is a great plugin, thank you so much. ... would be cool - except that I'd have to re-enter it each time. How about an option to load & save patterns? Version 1.1 posted with Save & Load functionality. I must say, it was a lot easier than I thought it would be. I thought I would have to define a custom XML structure and everything, so it was great to see XMLSerializer just simply knew how to structure the XML based on the existing code. Button icons from Fugue Icons. I also added a link to the source code; which I had forgotten to do last week. I've found that using the 'Grain' plugin afterwards will give a decent fabric texture to the pattern. 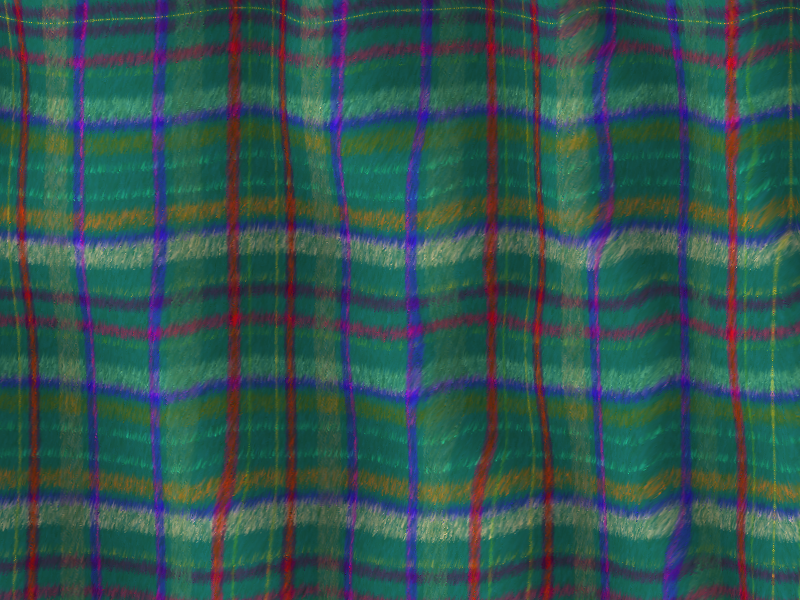 Does anyone have some other techniques for making the tartan patterns look more like fabric? Sorry about the broken images on all of my posts. My domain name was unexpectedly suspended today for reasons unknown to me. Hopefully that will be sorted out within a few days. This is a close-up and as you see, I think several colors are needed to have a textile texture. Perhaps a feature to create this type of patterns could be added to the effect. Version 1.1 posted with Save & Load functionality. I must say, it was a lot easier than I thought it would be. I thought I would have to define a custom XML structure and everything, so it was great to see XMLSerializer just simply knew how to structure the XML based on the existing code. This is a really cool plugin! nice U.I. and useful. Thank you. Does this replace/supercede Gingham and Tattershall? Perhaps a few .xml presets for tartans, tweeds etc. could be included in the first post ... just a thought. By the way the first post screenshot image links seem to be broken. I should read more carefully! Btw I used Furblur & Clipdisplace (I would, wouldn't I! ), to soften/distort. While this plugin can do gingham and tattersall patterns, I would still recommend those plugins. If someone specifically wanted to create a gingham pattern, it is faster and less cumbersome to use the Gingham plugin. If anyone wants to create some sample .xml files, they can send them to me a PM and I can add them to the first post. I only issue I foresee is that there currently is no way to edit the built lines (in the UI at least, one could manually edit the .xml file). 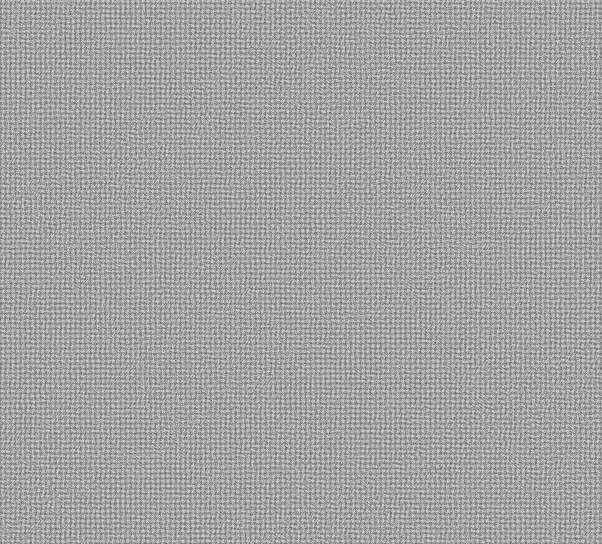 I generated a cloth-like texture by the following steps. 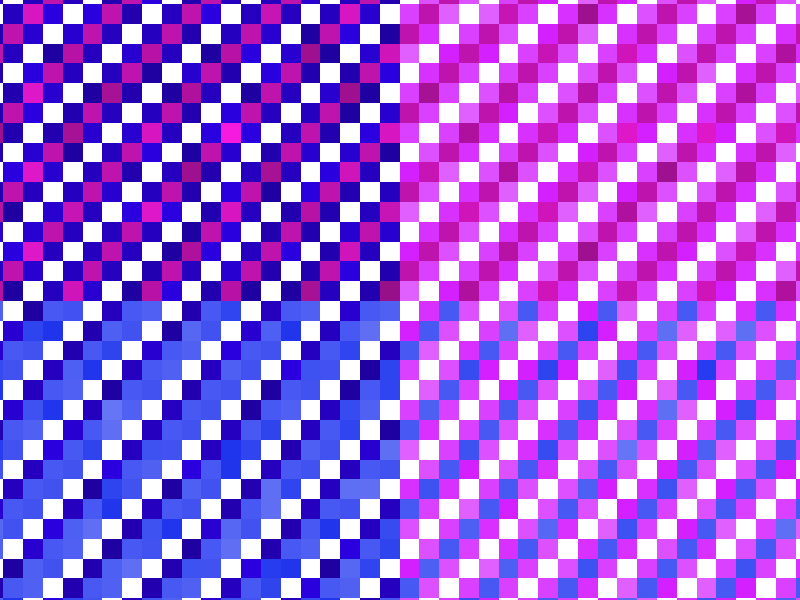 A grid, using BoltBait's Grid/Checkerboard plugin, with spacing 5 and line width 1. A Gaussian blur of 1. Pyrochild's Stitch plugin, with everything default, except a distance of 1. 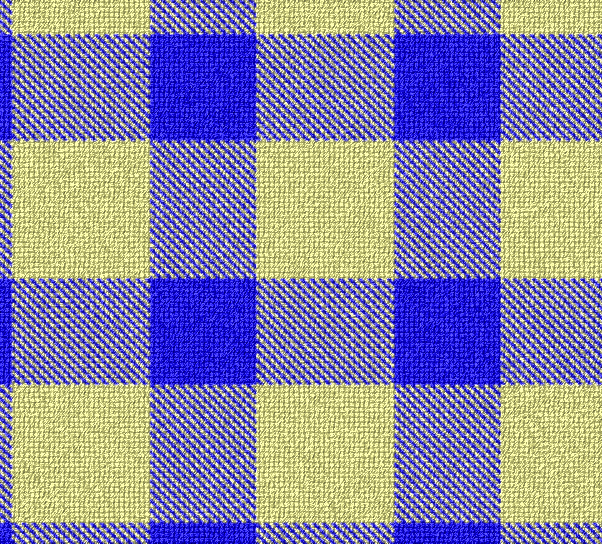 EDIT: Another idea that seems to work well to produce the cloth texture is to start with a checkerboard in place of a grid. Also, following the Stitch step, adding a bit of noise (with Color Saturation set to 0) and/or applying the Frosted Glass effect seems to give good results. EDIT 2: Thanks for the positive response to my comment! I originally neglected to write down the Texture Shader settings, so I thought I'd add them. Better late than never. These are not necessarily the best values, and may not be exactly what I originally used. Very nice texturing effect MJW! -The ending Y coordinate for the vertical lines was using the selection width rather than the height. This was only noticeable if you were working with a portrait selection/canvas . Version 1.3 posted. I've added a preview box for the Line Style. This updates the Color Wheel control to one that matches the one from IndirectUI, and fixes the plugin on HiDPI. it's also true about tartans. Now I need to drag my tartan out and try to reproduce it with this plugin. But first I'll look at your code, which I've learned a lot from. toe_head2001, This is a great plugin and I appreciate the work that went into it. @welshblue! OMG!!! You have produced a very good piece of work. Thank you very much. I'd wear a kilt - y' got a problem w' tha' Jimmy? A Campbell eh? Which branch, cousin? After my mother's people left the Hardangerfjord, they married into the lords of the Orkney Islands--a sept of Campbell of Cawdor. Of course, we're also associated with Clan Stuart, but they don't like to admit to Maddad's children! Nah. No problem. I don't want a Glesga Kiss. In fact no sort of kiss from a man in a skirt. Joking aside I've worn a kilt a couple of times to weddings ... very liberating. I started playing with this plugin again, and got some ideas for new features. I might release a new version within the next week or so.